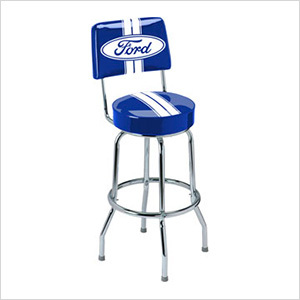 Outfit your home or garage in the spirit and tradition of Ford with this premium quality Ford Stripes Backrest Bar Stool. 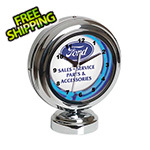 Constructed from heavy gauge 1" tubular steel frames with lustrous chrome plated finish. 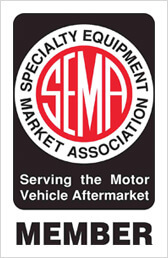 Commercial grade vinyl covering screened on the underside so designs will not scratch off with use. 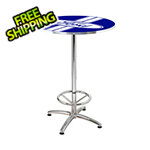 Thick foam padded seats rotate on a 360 degree revolving swivel. Easy assembly required.